NEW YORK ““ Bills or bug juice? With the economic recovery still struggling to take hold, many American Jewish families are finding they face a difficult question as deadlines for summer camp enrollment approach: Can they pay their bills and still send their kids to Jewish overnight camp? “It’s a difficult decision,” said Shelly Zemelman, a school psychologist in Cleveland with four children. Her 16-year-old daughter, Batya, has spent four summers at Camp Stone, a modern Orthodox camp in Sugar Grove, Pa., that charges $3,500 for a four-week session. Other Jewish camps charge as much as $1,500 per week. 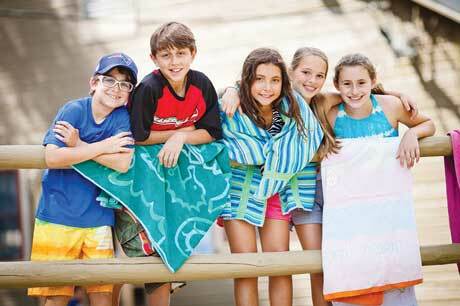 Jewish summer camp is not for the faint of wallet. With new studies suggesting that the camp experience is a key component in boosting the Jewish identity of American Jews, however, it should not be expendable, say champions of camping. A 2011 study, “Camp Works: The Long-Term Impact of Jewish Camp,” paid for by the Foundation for Jewish Camp and conducted by Steven M. Cohen, Ron Miller, Ira Sheskin, and Berna Torr, found that Jewish campers were much more likely to feel attachment to Israel, attend synagogue at least monthly, light Shabbat candles, and donate to a Jewish federation than those who had not gone to Jewish summer camp. The study, which controlled for past Jewish experience, also found that camp attendance was correlated with moderate increases in the size of one’s circle of Jewish friends, and the importance one ascribes to Jewish identity. The study found that 70,000 children attended Jewish overnight camp in 2010. The 150 nonprofit camps in the FJC’s network have reported increasing scholarship allocations by 25 percent to 100 percent – often in addition to support offered by local foundations, federations, or synagogues. Yehuda Rothner, director of Camp Stone, said that requests for financial aid at his camp have gone up by 10 percent, but that the amount requested has gone up significantly more. “People are asking for more money,” he said. Over the last five years, the camp has more than doubled its yearly allocation for scholarships, from $100,000 to $220,000. There also has been a slight increase in “bad debt,” in which the camp makes accommodation for families who find themselves unable to pay after making the first payment. Ramah, the Conservative movement’s camping wing with eight overnight camps and three day camps, has increased scholarship giving to $4.3 million in 2011 from $3 million in 2008, according to Amy Cooper, Ramah’s national director. The Ramah scholarships, which include funds raised by local boards, synagogues, federations, and such foundations as the FJC, have benefited 500 families among the 6,500 attending Ramah camps each summer. 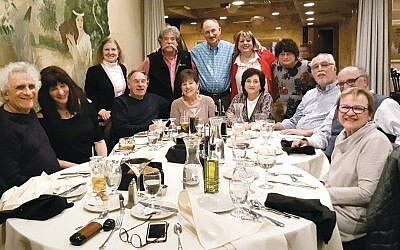 Camps Ramah long have been considered a key to creating a committed Jewish core, and many of the movement’s rabbinic and lay leaders have come out of the Ramah experience. Despite the weak economy, camp enrollment has continued to climb. The 150 nonprofit camps in FJC’s network have grown by 4 percent to 5 percent over the last four years. Fingerman attributed the increase in part to a drop-off in enrollment at for-profit Jewish camps, which tend to cost more. “As day school prices increase, it is forcing a difficult situation down parent’s throats, and they’re having to make those decisions,” Rothner said. Some camp administrators say the recession has not had much of an impact on enrollment because their constituency is mostly high-income families. Howard Salzberg, who has co-owned the for-profit Camp Modin in Maine for the last 32 years, said that enrollment at the camp – which costs $6,300 per four-week session – has not suffered at all. “People forgo other things before they won’t send their kids to camp,” he said. For the campers themselves, how their parents pay for camp is easily forgotten once they are there. 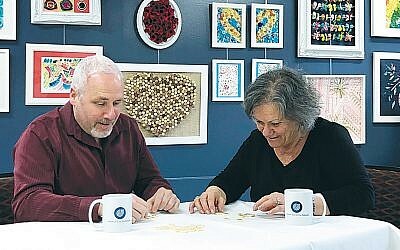 “I’ve never made friends like that – they were the people who have made the most impact on my life,” Batya Zemelman said.